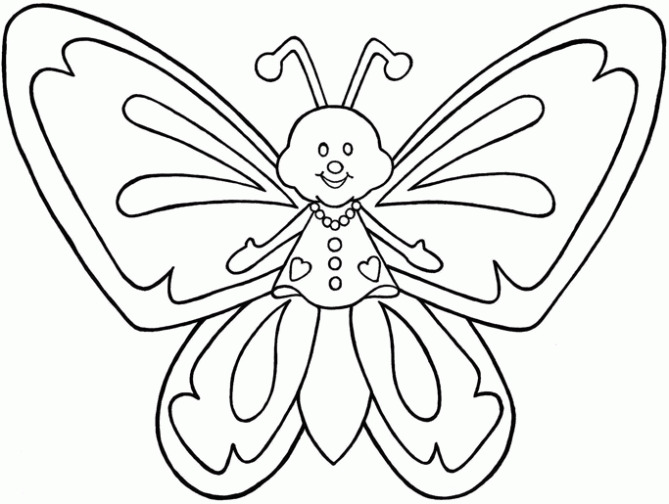 Butterflies are animals admired by children, kids and adults, they are basically admired because of the color of their wings, the combination of the colors and brightness of them, for that reason is that below we present a group of interesting pictures of butterflies with large wings ready to be decorated, This is a fun activity for everybody. 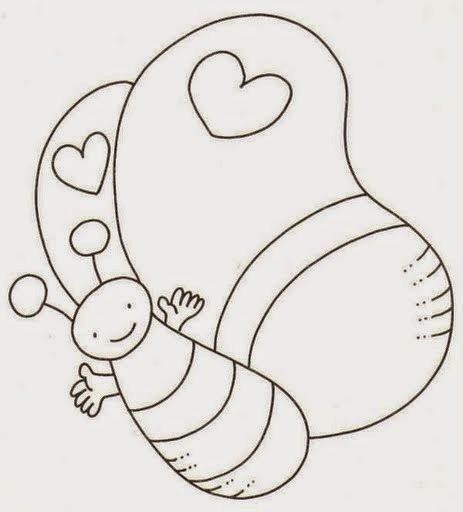 A butterfly with open hands and a smiling face. 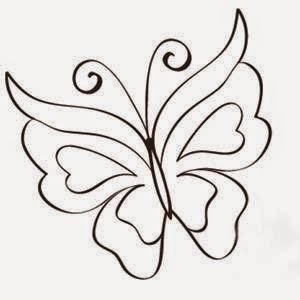 A butterfly with large wings with a line and a heart on each one. 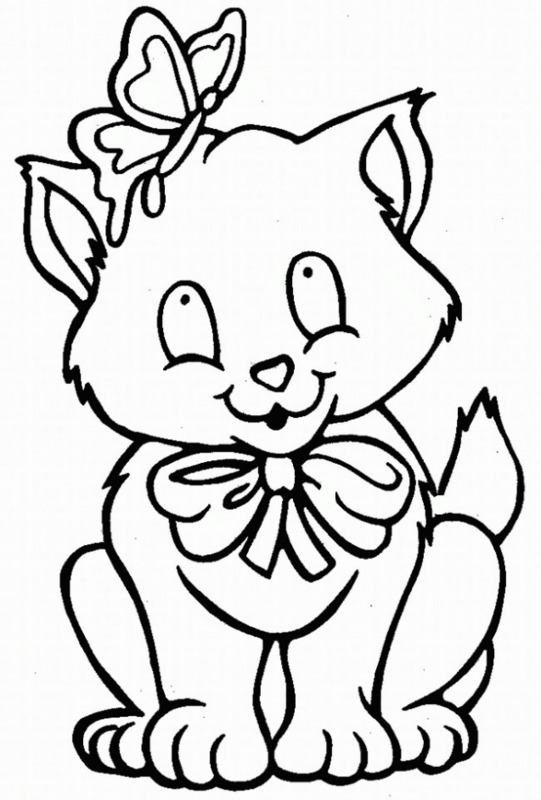 A butterfly on a cat's head. A butterfly with wavy and interesting designs in the antennae. 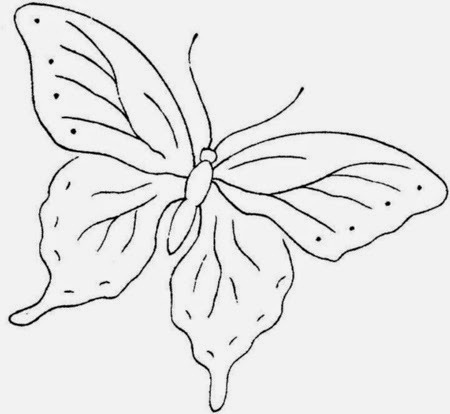 An image with a butterfly decorated with original designs on the wings. 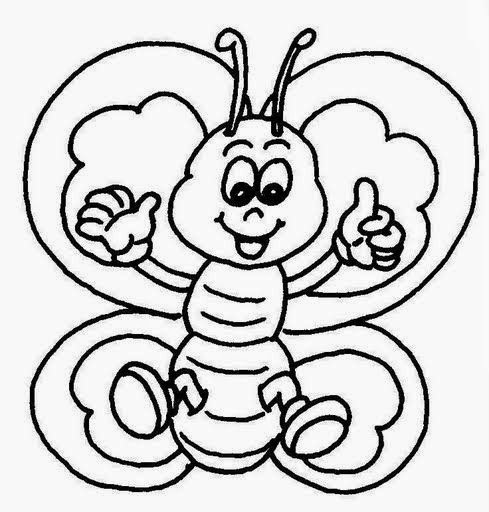 A happy butterfly with large wings. 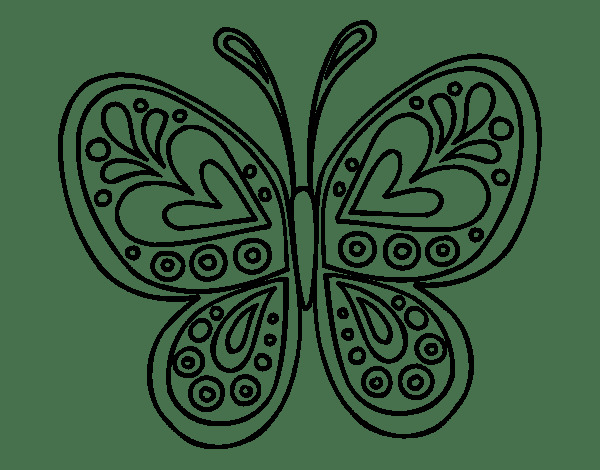 A butterfly with big eyelashes and with open wings. 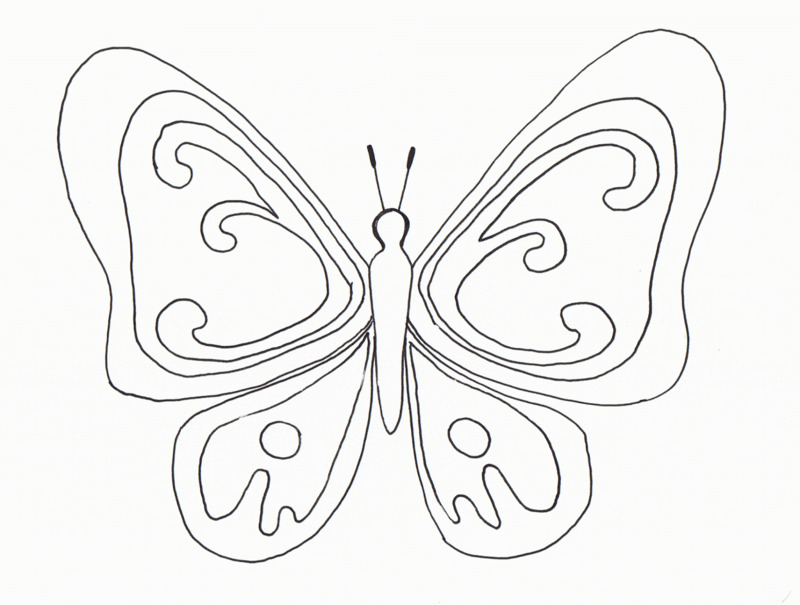 A butterfly with wings decorated with wavy designs. 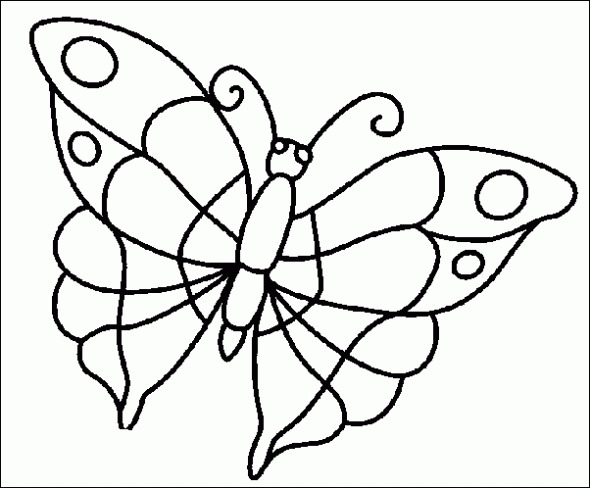 A butterfly with circles and lines on the wings. 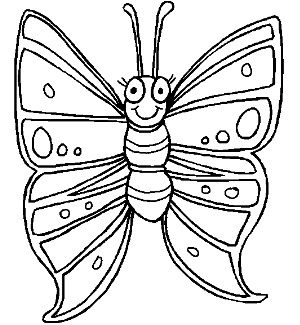 A butterfly with lines and spots on the wings.